This is the seventh & final post in our Sourcing for Independence series! Welcome back! Did you miss the others? Click here to check them out. Also on our blog, I write up a lot of helpful tips about selling products online. We don’t just talk about sourcing or wholesalers here. So be sure to browse around and I love to read comments left by readers, so keep those coming! When you have found great suppliers to work with and chosen the right products to sell, then you need to sell them right. Presenting the products in the right way and writing up UNIQUE good descriptions are key to online selling success. With so many things being automated these days, a lot of sites lose out on that personal presentation of the products. In order to cater to your demographic, and to stand out on the search engines, you have to write your own product descriptions. Here on the blog, several times, I have talked about the dangers of using datafeeds. Sure, these are great to quickly upload a large amount of products onto your site, but you’re damaging your ability to rise to the top of the search engines. Search engines, like Google, will in their way “penalize” sites that use the same information. They call this duplicate content. When someone is searching for something, Google doesn’t know the best site to show their user because so many sites will have the same exact product information listed. So they choose popular, highly visited websites instead. As a small business owner, this will greatly hurt your business because you can’t compete with those sites already getting a lot of attention. So if you want to use a datafeed, before you upload, rewrite the descriptions! When you rewrite the descriptions, keep your demographic in mind. If you are selling to women, ages 20 to 30, then the verbiage you use would cater to them. If you are selling to women ages 50 to 60, your descriptions would look different. Same as if you were selling to men. Men would want to read things differently than women. So always keep this in mind when crafting your descriptions. I wrote up a series of posts about Brand Archetypes. Such as; The Jester, The Caregiver, The Ruler, The Explorer and etc. and gave tips and advice on how larger brands market to those types of demographics. Brand archetypes are based on Carl Jung’s idea on how humans use symbolism to understand their world and he identified 12 personas that make up the people in our world. You would identify the persona that you are selling to, and then choose the subset of that persona as your demographic. For example, if you were selling survival gear, you would want to market those products to those with the Explorer persona. If you find that most people that purchase survival gear are men, ages 20 to 50, then you would cater your descriptions based on that. Identifying the persona, and the demographic, also helps you to choose or create the right images and graphics that you would use across your entire website and the right images to choose for your product pictures. Even color schemes! All of these things are important to the development of your website. Choosing your archetypes and demographics also helps with your marketing ideas. PPC’s, banners, ad campaigns and etc. With large companies these are all created with archetypes and demographics in mind. Don’t try to be an end all buy all solution for everyone. You just end up muddying the waters and you will spend a lot of time constantly working on your site, SEO and advertising. As a small business owner, you can’t expect to be another Walmart.com. You are usually working on all this yourself, so that’s another reason why we recommend NICHE websites and finding your niche as indicated in #3 – Choosing What to Sell. A niche site, catered around a persona and a set demographic do really well online and are perfect for small business owners. If you want to sell different products, then work on another niche site! You CAN have more than one website selling products online! You can also multi-channel sell on websites, eBay, Amazon, Sears.com and more! So there are a lot of opportunities for you. 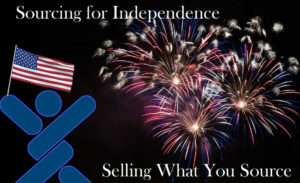 But the first place to start, is finding wholesalers to use so you know the types of products that are available to you. Our $50.00 discount ends tonight! So CLICK HERE to get our Directory membership before the discount goes away. – Tap into our Research Team for help finding GENUINE suppliers for other products you want to sell and we will do our best to find suppliers for you! So get started right, with the best, top-level wholesalers available that will work with online retailers! We truly hope that you have enjoyed this series! If you ever have any questions, please don’t hesitate to contact us. We are always happy to help! This entry was posted on Wednesday, July 5th, 2017 at 1:42 pm	and is filed under Marketing, Online Business, What's New. You can follow any responses to this entry through the RSS 2.0 feed. You can leave a response, or trackback from your own site. I pay a quick visit daily some web pages and websites to read articles or reviews, but this weblog gives quality based writing.